Through buildOn’s service learning programs students choose to explore and address the issues that directly impact their lives. 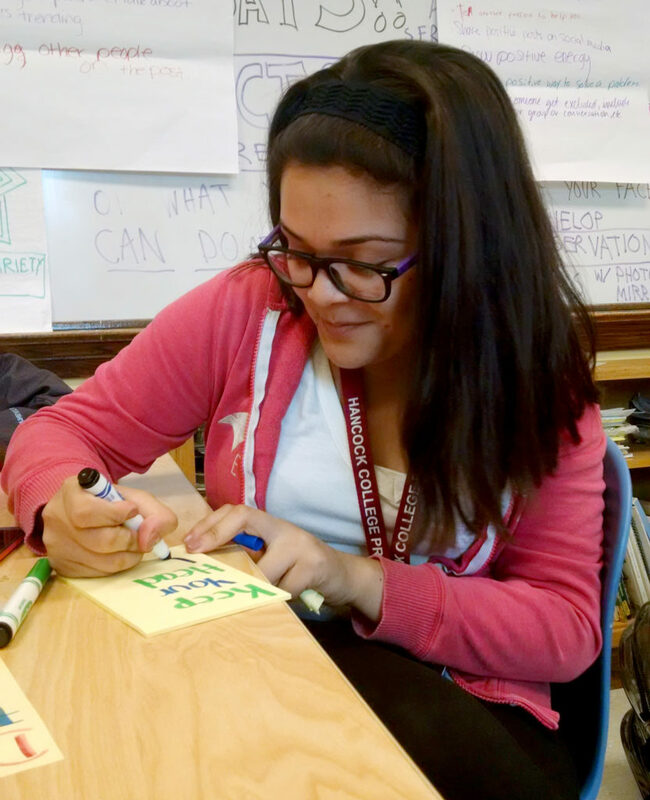 This fall buildOn students decided to take action on the issue of bullying. 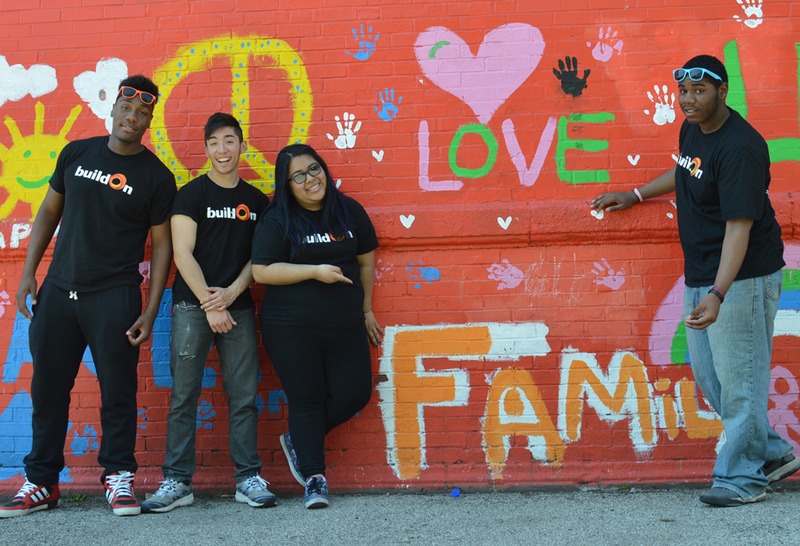 Naty (third from left) and some of her buildOn friends at a service project on Chicago’s South Side. At John Hancock High School students passed out “no bullying” buttons in the halls, asking those wearing a button to speak up against bullying. They also added positive notes to school mirrors, reminding students that they are an important and valuable part of their school community. 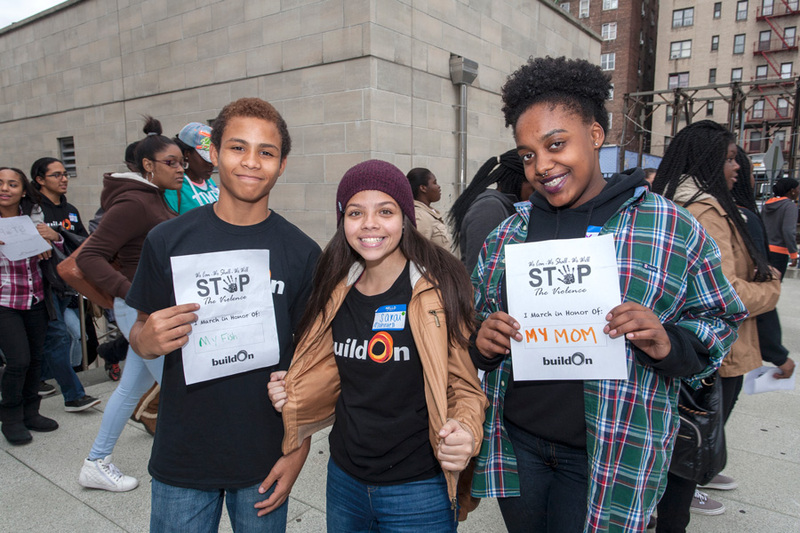 Over 100 students held anti-violence rallies in the Bronx and Bridgeport, CT focused on preventing bullying. Students broke into small groups to discuss the issues surrounding violence. The day ended with an anti-violence rally at a nearby park. Students from CASH High School designed and painted a “Peace Pathways” Mural in the hallways their school. Students also partnered with a local center for visually impaired youth (Our Space, Our Place) where they explored similarities and differences in their experiences with bullying, opening their eyes to what each group has gone through. 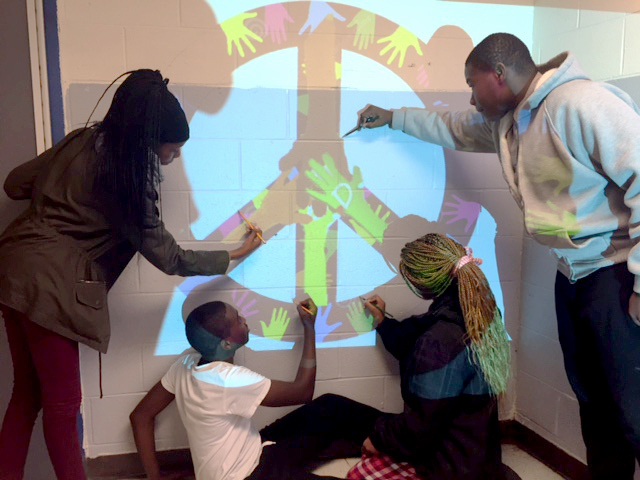 Photo: CASH students tracing a Peace Pathways mural at their school. 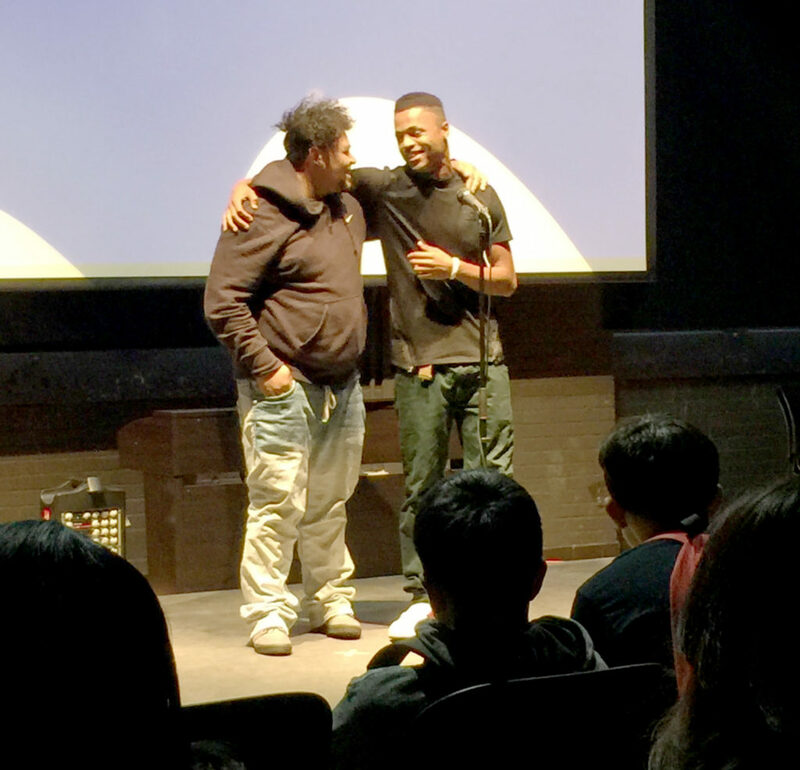 Students at Western International High School worked with a theater teacher to develop monologues on bullying. Throughout October, they turned these monologues into PSAs and performed them at a school assembly on October 30th. Photo: Students from Western International High School in Detroit act out an anti-bullying skit they wrote. buildOn Gala Raises a Record $4.1 Million for Service & Education!